FitzGerald has significant experience with the zoning approval process in Chicago and the suburbs, and we maintain strong working relationships with the most prominent zoning attorneys in the Chicagoland area as well as many of the area’s leading developers. In this month’s feature, we delve deeper into that process, with observations from our experts as well as attorneys and clients with whom we work closely. FitzGerald Associates Architects recognizes the ways in which an architect traditionally contributes to a zoning team through design input and the preparation of exhibits. We strive to go beyond that, however, and what sets FitzGerald apart is not only the knowledge our teams have of the zoning ordinances, but also a deep regional and political history that allows us to offer our clients anecdotal guidance as to what we’ve seen succeed previously in certain communities or with certain building types. Throughout the entitlement process, consideration must be given to the range of stakeholders and audiences that come into contact with our ideas while they’re still in nascent development—and different groups are looking for different pieces of data and visual information. In many cases, the first constituency to whom we present a zoning strategy is indeed our own client. In concert with the client’s zoning attorney, FitzGerald will illustrate the range of options and solutions before a development approach and subsequent presentation strategy are chosen. Once the developer’s course is plotted, the quality of the visual representation of architectural vision becomes paramount. To consultants, a set of design development or construction drawings provides all the information necessary to imagine the building, inside and out. But when the concerned parties aren’t technically-minded, the visualization of how a building’s massing responds to or complements its context or of how a building as a good neighbor would enhance the streetscape becomes critically important. Part of that response is, and will always be, the creation of compelling visuals that tell a story. FitzGerald maintains a talented staff and a stable of qualified consultants who create physical and virtual models, hand and digital renderings, and videos that are used to illustrate the building and its context to our clients and their audiences, both municipal and community-based. The challenge of designing and zoning a new project isn’t isolated to what a community will sign off on, however. The principals, management, and staff of FitzGerald are all residents of these communities. We live and work in the buildings we design. As architects, we design to be a good neighbor in aspect and function, and know that we aren’t only helping to develop an investment—we’re designing a neighborhood asset fostering site specific interactions. While interacting with community, resident, and merchant groups is important, ultimate approval power typically rests with the municipality. FitzGerald has worked with municipal departments throughout the Chicagoland area for decades and knows well how to anticipate and identify potentially contentious development programs. Bolstered by Pat FitzGerald’s own experience as a real estate developer, our team is an adept partner for our client as he addresses the same challenges that we often have encountered around the city. 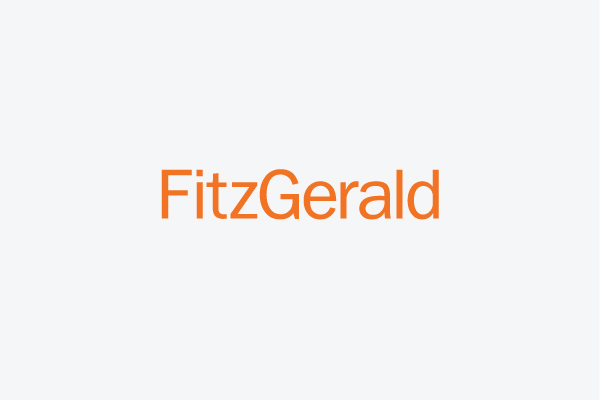 Throughout the process, FitzGerald maintains and protects the original purpose of highest and best use for the client. Creating—whether from scratch or through the renewal of existing urban fabric—a new place for people to live, learn, work, worship, park, or shop, while proving and then optimizing the value of the real estate asset.